The Ash House is a fantastic place to stay. Large, well-equipped and beautifully built with an open-plan space downstairs and two big bedrooms upstairs, one en-suite and the other next to the main bathroom. A wood-burning stove in the living room quickly heats the whole place - which stays warm all night, thanks to the insulation - though there's also under-floor heating too. 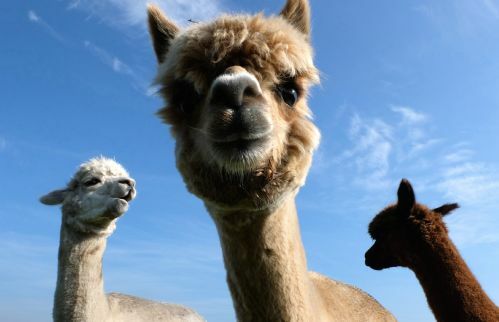 The house is in a beautiful setting, high above the surrounding countryside - with the spa area nearby - along with horses, sheep, chickens and even a couple of llamas. Everything runs off sustainable power - and we breakfasted on a basket full of eggs from the chickens. Simon and Rosie were great hosts, with a font of local knowledge. All in all, a wonderful stay - highly recommended! We have been staying at Little White Alice for a number of years now whilst visiting elderly relatives in the area. It is wonderfully peaceful, clean and comfortable. It is the perfect place to stay, unless, of course, you can't live without bright lights and noise. We had a fantastic long weekend here. The cottage itself was great and provided ample space and provisions for our family. Rosie & Simon were terrific hosts with some great recommendations for beaches, restaurants & even running routes! 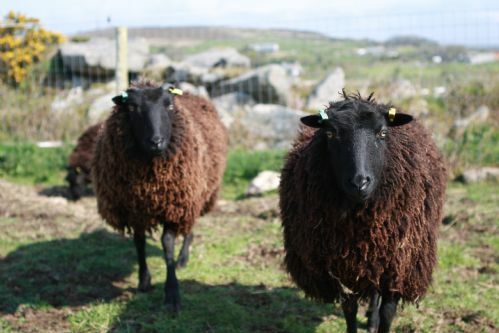 One of the highlights of our stay was the morning feeding of the animals on the farm, which we thoroughly enjoyed. 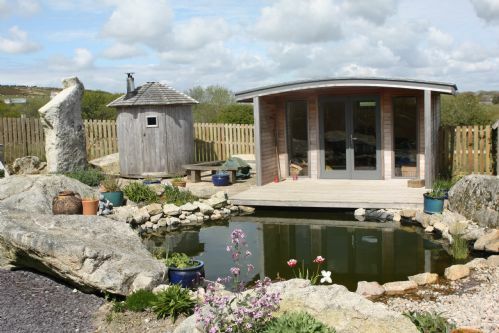 Wonderful base fro which to explore Cornwall & would’ve loved to have stayed longer. Until next time! Definitely recommend. We really enjoyed our stay, the farm is fantastic, it's like a paradise. It's very good place for family, our children didn't want go back at home. The host is very friendly and very welcoming. You can also get some treats to take at home. Totally amazing place. So lovely and peaceful. Perfect for children and dogs!! Can’t believe how well equipped the accommodation was. They’ve thought of everything. Thank you for such a lovely few days. We can’t wait to stay again. My husband & I had another wonderful stay at Little White Alice with our dog Beau. The cottage was as beautiful as always and we received a wonderful welcome from our hosts Rosie & Simon. Beau too adored his welcome from the resident dogs Marley & Luna. Collecting the freshly laid eggs and feeding the animals each morning was the highlight of our day. We can not fault Little White Alice and all it has to offer. We loved our stay. 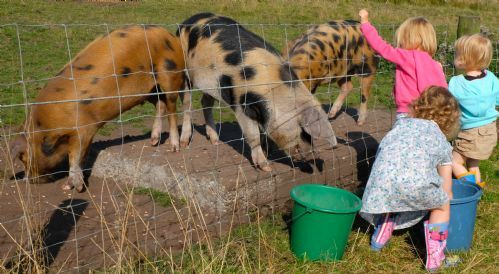 The cottage was fantastic, the hosts were great and very welcoming and our daughter absolutely loved being able to help feed the animals in the morning - her favourite bit of our holiday by far. We had a wonderfully relaxing stay at Little Alice. The kitchen is really well equipped and there are some really lovely touches like homemade brownies and milk in the fridge on arrival. The log burner was a real hit with my husband who looked forward to building fire! It was quite cold and wet during our stay and my children were kindly allowed to use the craft barn to do some painting. Sarah was a really helpful, friendly and wonderful host whilst Rosie was away. We liked the fact that the house was away from the hustle and bustle of the busy coastal resorts. The farm has a serene feel to it as you drive along the bumpy road passing all the animals. 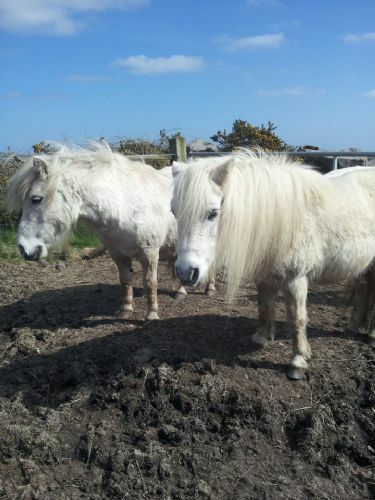 My children loved to feeding the animals but the highlight for my 4 year old was taking the pony for a walk. Staying here was a really homely experience and I would love to return. We fought off the last bitter blast of winter in front of the wood burner. Silence was golden, enjoying reading in the warm, far away from the distractions of everyday life. In spite of the cold, rain and wind, we had a couple of great tours around the north west coast all the way to Land's End, then a day on the Lizard and another on Roseland. The ancient sites provided interesting off beat tourist destinations in what would otherwise have been a busy Easter week and we did manage a couple of beach walks when the sun appeared reluctantly. This house is really comfortable, with all the facilities of home, excellent linen, great beds, indulgent sofas, etc. It is really warm, especially when the wood burner is on. It is a beautiful restoration of a once derelict building. You would need the hot water booster if the weather is grey - the water heater is solar. It was quite muddy around the farm and not easy to clean up my little dog (maybe a spray head on the end of the outdoor tap?). And the courtyard was not enclosed so I always had to go out with her... cue walkies in the nightgown and wellies! Overall, excellent quality in the house and good access for touring. Delightfully quiet and peaceful home from home. Always a pleasure to stay at Little White Alice - only a long weekend, this time, to visit relatives before Christmas; but we'll be back. My husband & I along with our dog Beau had a wonderful time staying at Little White Alice. Rosie & Simon are fantastic hosts and made us feel very welcome from the moment we arrived. Our cottage was stunning and just as described, it felt like home away from home. A night at the Wild Spa has to be enjoyed too... we sat in the hot tub looking up at the stars. Perfect location for exploring Cornwall. Would thoroughly recommend staying here... we will return! A most enjoyable stay at Little White Alice. A more peaceful and tranquil place would be hard to find. Everything was provided for our stay. We hope to return in the future. 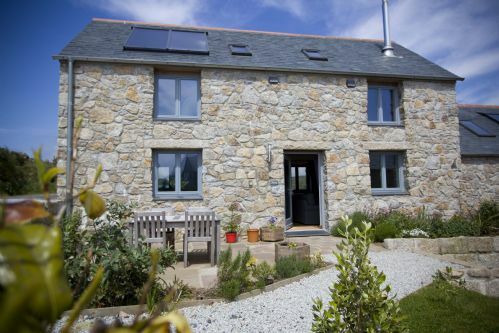 We can highly recommend Little White Alice as a holiday destination in Cornwall. Great location for travelling around the area. Very quiet and off the beaten track. A place to unwind and appreciate the beauty of country life. A must for any animal lovers. When shall we three meet again..! I have just enjoyed a week on holiday at The Ash house, Little White Alice with my two sisters. As we all live a god distance from each other out was quite special to have the time together and the venue was perfect for us. Welcoming, clean and very hospitable with Rosie's artistic sensibilities very evident in the warm colours and textures of the fittings. A generous welcome tray greeted us with eggs from the hens on site and lovely local biscuits and bread. The on site natural spa was pretty amazing and saw us soaking in warmth in the wooden fired hot tub whilst the horses grazed peacefully in the next field. Local folk nights at the pub were a bonus and the location meant easy journeys to the coast in each direction to visit gardens and galleries and beautiful beaches. We loved it and also thought how lovely it would be for children with the wonderfully friendly resident dogs, and other animals to enjoy. The nearby lake and watersport options would extend the appeal in terms of age range. 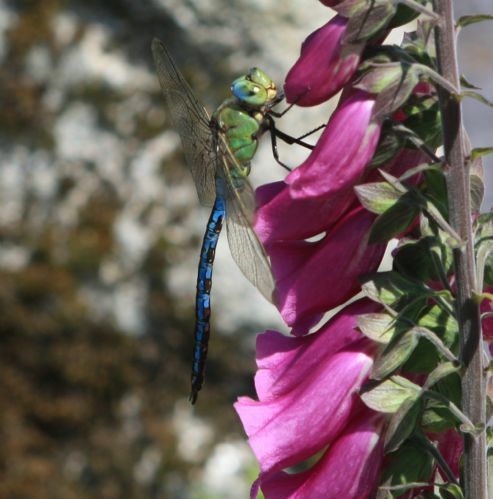 A lovely, hospitable place with very green credentials and welcoming hosts in Simon and Rosie. We had a great time! Fabulous stay at Little White Alice. We were very late with our half-term booking, but done the booking over the phone and arrived next day. As always, Simon and Rosie, are absolutely great hosts, lots of entertainment for children e.g. animal feeding, pony rides, nice playground and beautiful nature. Happy to become a regular here and look forward to coming back soon again. 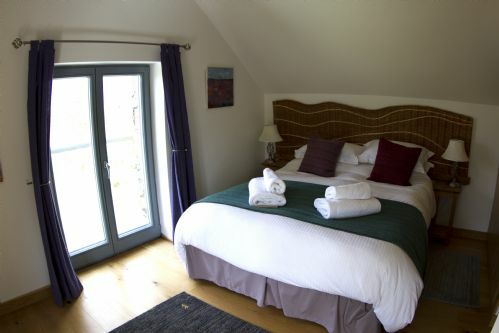 We (four adults and a 2 ½-year-old) had a lovely stay in the Nion at the Little White Alice. Rosie and Simon did everything to make our stay a wonderful one. 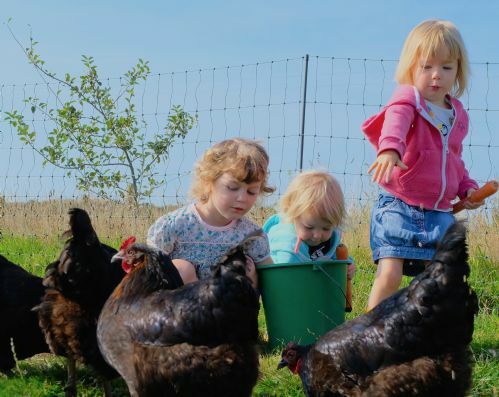 They very kindly provided a children’s bed and a stairgate and took the little boy to feed the sheep and alpacas and collect the chicken’s eggs, all while accompanied by the lovely dogs Marley and Luna. 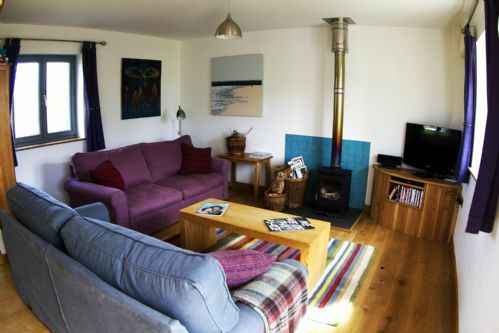 The Nion is very snug, whether you want to have a sleep in the very comfortable beds, cook up a storm in the large kitchen (perhaps using the Little White Alice's own eggs, bacon, or sausages), or relax by the fire (although the house is so warm you may need to open a window, even in the depths of winter). The Little White Alice is a great base from which to explore Cornwall, but it is nice to come back to the cottage for some peace and quiet. All in all, a wonderful stay. Thank you, Little White Alice. A welcoming home from home ! This is the 4th time we have stayed at Little White Alice. 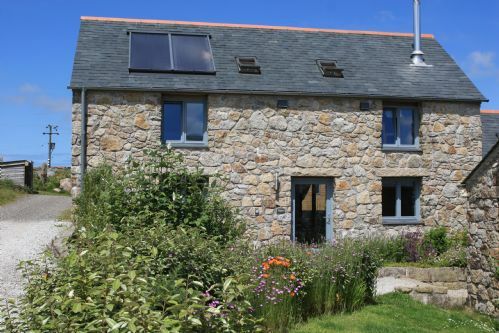 Its location is perfect for ease of visiting both Cornwall's North and South coasts. 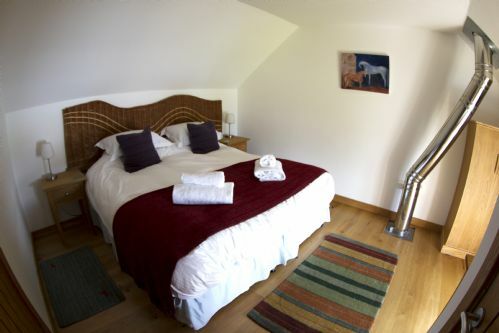 The property is furnished to a very high standard with lovely furniture, comfy beds and quality duvets, pillows and linen. The kitchen is well equipped and has dinnerware and glassware aplenty. Its all very cosy and homely with beautiful touches of art and craft ware. 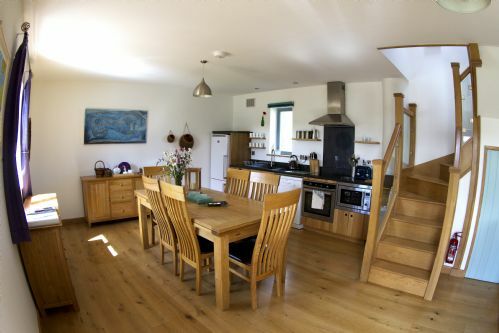 With underfloor heating and woodturner you certainly won't be chilly! Its also so welcome to have logs and kindling readily and freely available, so many times elsewhere this is at extra cost or you have to locate your own from a local garage ! In fact there are so many added extras from bread, milk, cakes, butter, eggs from their own hens, sausages from their own pigs to those boring necessities such as tin foil, cling film, cleaning products and shower gels and hand soap etc. that are just a pain to have to bring or buy locally. Our only problem with LWA is that it has spoiled us for the usual self catering cottages you generally find, and we only wish that we could take LWA to every location we want to visit. In addition to all of this, it is so refreshing that such quality accommodation is also dog friendly. 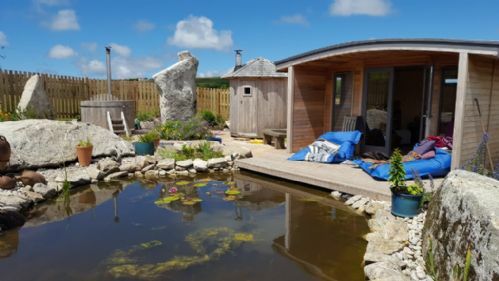 Rosie and Simon have worked hard to produce such wonderfully comfortable and welcoming properties, and they continue to invest in improving and developing LWA as a whole while maintaining their ethical and ecological principles. Thank you both for another great stay. A great location with access to many attractions handy to Beach's north and south also dog friendly all in all a top location. Came across LWA by accident when browsing for a place to stay and were attracted by both the look of the place and the environmental considerations, e.g. wind and solar power, recycling, keeping animals as well as the location. Enjoyed everything about the place right from the Alice figure identifying the properties on arrival. 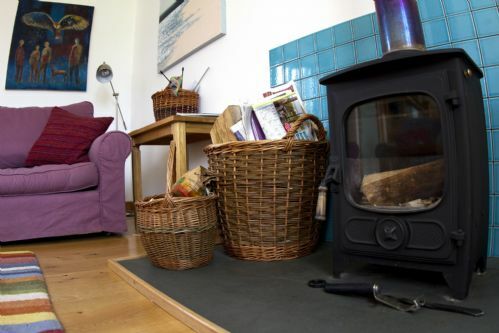 We stayed in Ash house, spacious and well equipped, including wood burning stove. Great network of paths surround the peaceful quiet location for walking, running, cycling. It is possible to hire out all four properties for a large gathering, which is something we will consider. Would definitely recommend this place! itself. Cottages in excellent condition, very comfortable and well-maintained. Friendly and welcoming hosts. Big thanks to Simon and Rosie! I hope we will return soon again. 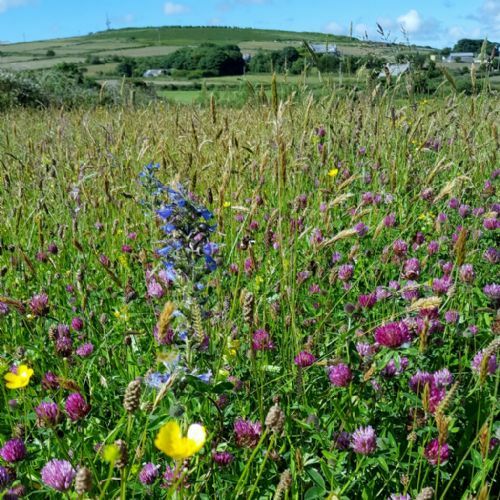 A wonderfully remote and peaceful location in rural Cornwall. Still close enough to all amenities and attractions. The house is very well appointed and comfortable. We had another restful week. Thanks to Rosie & Simon and of course Marley. Our 3rd stay at Little White Alice, do we need to say more. Simon, Rosie and animals lovely, property amazing, facilities fantastic. New spa fantastic. Looking forward to coming back again in October and discovering a bit more of Cornwall. We'll see you all then, love to Marley, Luna and Bonnie.